Don’t forget! Register your card to protect your balance should it be lost or stolen. Initial cost of Pulhams Smartcard is £1. * Online top up payments on the Pulhams Smartcard take 48 hours to be processed. Smartcards are not valid when purchasing Weekly and 4-Weekly ticket types. The 10% discount does not apply to already discounted fares (i.e. NHS £1 fare from Arle Court P&R). On bus top ups with cash are effective immediately. An auto-top up is available when the balance on your card drops below a set limit. For further information on the new Pulhams Smartcard email us: info@pulhamscoaches.com or click on the link below for more help. 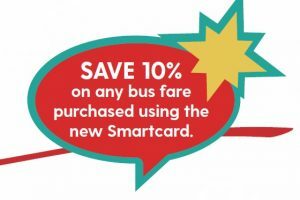 Need to top up your Pulhams Smartcard? Find out more about the new Pulhams Smartcard and where you can use it.